Hello Monday and a Happy New Year 2015 to everyone! Today I'm hosting at Use Your Stuff. This site is challenging you to Use Your Stuff (as it says). Every Monday someone from the creative team would post a challenge that we hope will inspire you to use your stash to create. Your creation could be anything, layout, card, tag, decor item etc. Just link up! 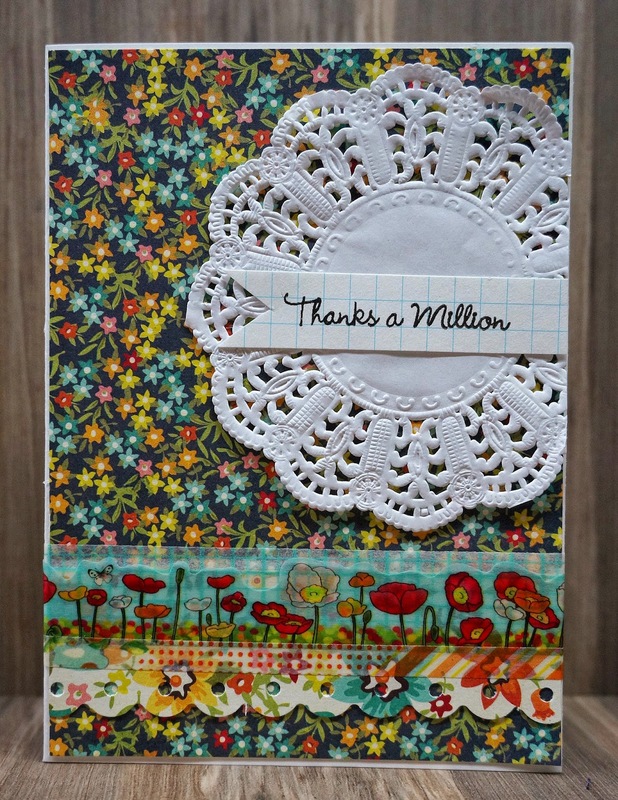 Absolutely love the the cheerful colours and pretty design paper.